One of the first design books I ever purchased was a copy of Art Alphabets and Lettering by J. M. Bergling. 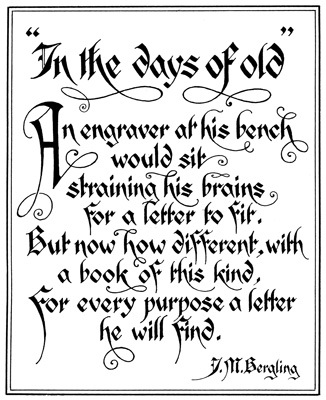 I was elbow-deep into creating all types of lettering pages for the public domain images part of Karen’s Whimsy. This Old English Calligraphy Alphabet is a beautiful example that comes from that book, as is the Rococo French Roman Alphabet shown below. 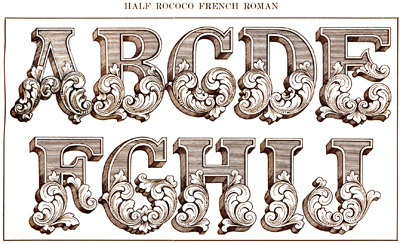 John Mauritz Bergling created thousands of letter styles, signets, monograms, ciphers, and other designs, but he was not a typographer, as one would imagine. He was actually a jewelry engraver who worked for some of the leading jewelry companies of his time, hand-etching on the surface of each piece. Bergling was born in Southern Sweden in 1866 and moved to Chicago with his father when he was a small boy. Sometime in his childhood, Bergling suffered the loss of two of his fingers on his right hand in an accident, but that didn’t seem to keep this right-hander from excelling in art. As a young man he lived and worked in Kansas City for Blauer’s Watch Case Company, where he became an engraver and made steady progress hand-etching jewelry. After two years with the company, he won a competition between watch case engravers. It wasn’t too long before he started his own engraving business on the side. It was said that he loved plants, flowers, and animals, and would observe the designs he found in nature and incorporate them into his work. He moved to California in 1888 and worked in the engraving department of the San Jose Watch Company, but got caught up in the Spanish-American War. He served as a member of the San Francisco Hussars, and when he left the military, he returned back to Chicago. 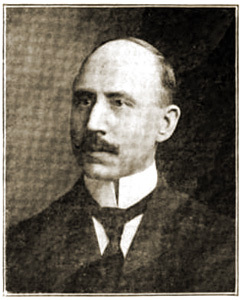 In 1897 he began working for the C. D. Peacock Jewelry Company, a famous jewelry store located in the Palmer House in Chicago, which is still in existence today. He worked there for thirty-five years, most of the time as the company’s Master Engraver. 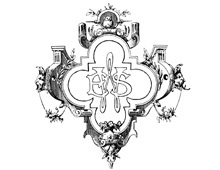 He became world-renowned for his skill and artistry in engraving and people came from all over the world to order his designs and etchings for their jewelry and silverware. During this time he also did engraving for the Colt Single Action Army .45, the Remington double Derringer, and Browning Company rifles. 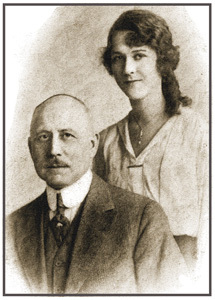 He married Fanny A. Eklund of Stockhom, Sweden on November 4, 1899, and they had two daughters. One of his daughters, Mildred, helped him with his second book, Art Alphabets and Lettering. 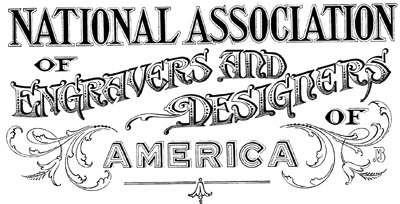 From the earliest years of his career, Bergling had saved his design sketches and letterform drawings, and in 1908 he published his first book–Art Monograms and Lettering. He hoped his little book, with more than 300 illustrations, would help other etchers, engravers, and artisans at their craft. The following poem appears on the first plate of that book. Bergling published two additional books: Heraldic Designs and Engravings in 1913 and Ornamental Designs and Illustrations, also in 1913. The preface of Ornamental Designs illustrates Bergling’s desire to help and inspire his fellow craftsmen. This book is intended for those who have felt the need of a varied collection of ornamental designs for all purposes and at moderate cost. The many books now in the market are either too elaborate or of little assistance because of their limitations to the ideas of any one school of design. Therefore, the artist who occasionally needs a suggestion or model for a design he has in view will find it necessary to equip himself with an extensive library at a great cost. Many of these books are often out of print or at least impossible to obtain. With this in mind the author has undertaken and prepared in a condensed form a work dealing in a variety of subjects that to designers and engravers will prove of invaluable service at all times. To the artists who so kindly have helped to contribute material for this book the author wishes to express his sincere appreciation. — J. M. B.
Bergling died in 1933, but his legacy, which includes ornate Heraldic engravings, engraved State Seals of the United States, and ornate emblem engravings for foreign countries, can still be found today. He served as a resource for other graphic designers, and it is believed his art work had some influence on the Art Nouveau movement. Many of today’s modern font styles are based on or have been adapted from Bergling’s work. In the Design Image Source website, you will find many of Bergling’s designs, and hopefully they will continue to inspire other artists in the years to come. Who are some of your favorite designers, and how have they influenced you? “John Mauritz Bergling” by Lee Sinoff. No date. History of the Swedes of Illionis – Part II edited by Ernst Wilhelm Olson and Martin J. Engberg, 1908. “The Original J. M. Bergling Art MonoGrams” by C. M. Bergling, 1934.